We have been busy walking the beach and keeping an eye on our local Pied Oystercatchers and the two pairs that laid their eggs earliest for the 2018 breeding season and successfully hatched out their chicks have now lost their chicks to predation. One pair have already returned to the nest site and will no doubt lay a further clutch of eggs in due course. 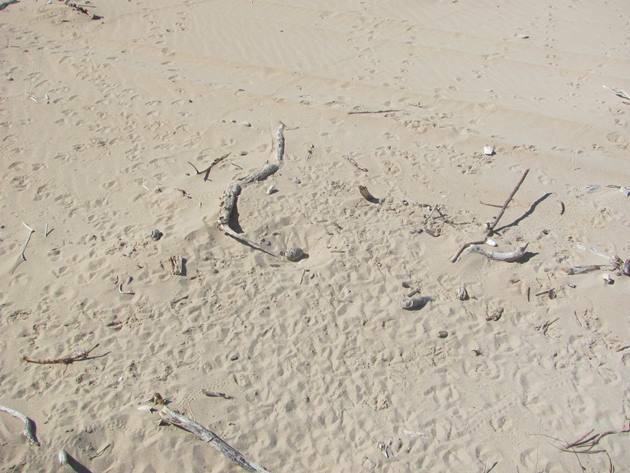 This is typical behaviour for the Pied Oystercatchers along Broome’s coastline each year during the breeding season. 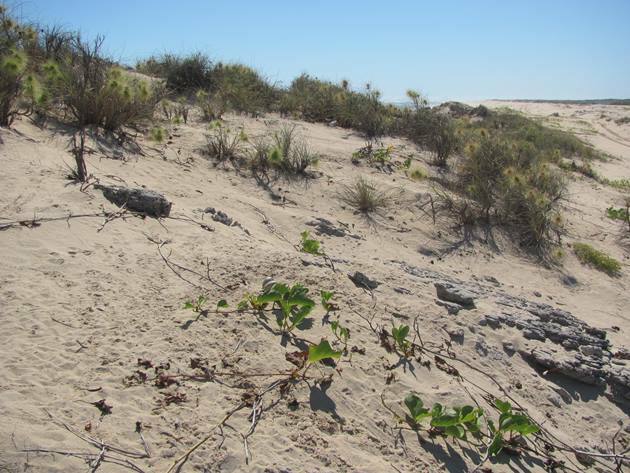 The northern part of Cable Beach is now also busy with Pied Oystercatchers nesting and there is evidence of predators walking the dunes and beach. One pair of Pied Oystercatchers have successfully sat on their eggs for two weeks now and they have positioned the nest on the back of a dune and the nest site is in the header photo above. 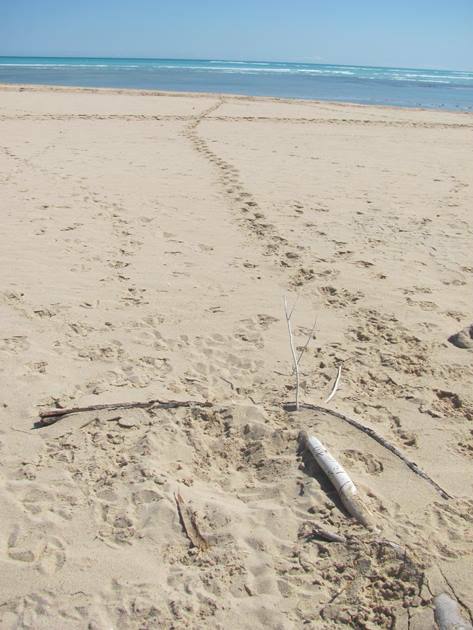 The footprints lead clearly to the nest site and the birds fly up into the air chasing any potential predators. Black Kites, Whistling Kites, Brahminy Kites and White-bellied Sea-Eagles are soon chased off if they fly along the coast in the vicinity of the nest and the Pied Oystercatcher returns to the eggs. Another potential risk to nest sites is large tides pushed up further than expected by the wind. One pair of Pied Oystercatchers that had a nest on the spit lost their eggs during the recent high tides and will soon lay eggs again and hopefully in a more suitable place. The nest site had looked perfectly suitable at the time that the eggs were laid and had not been inundated by the sea in previous years, but the environment is constantly changing. One of the new Pied Oystercatcher nests is also at risk of inundation by the sea or being run over by four-wheeled drives that access the beach. It is unlikely it will be noticed by a vehicle driver, because it is in the middle of the beach and the Pied Oystercatcher will either walk or fly away as the vehicle approaches. 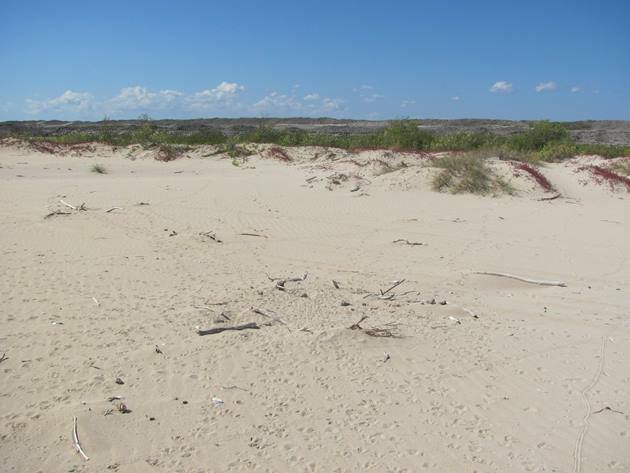 There are both recent and older vehicle tracks on both sides of the nest. 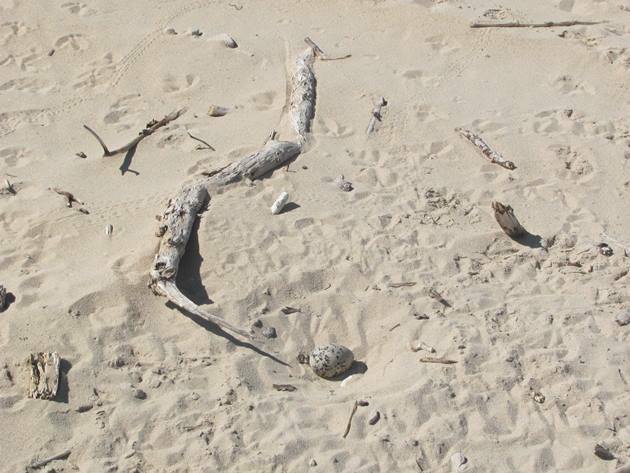 The position of another Pied Oystercatcher nest is further back from the sea and possibly at less risk from inundation by the sea or being run over and judging by the number of footprints has also been there for some time. Without the visible footprints leading to the nest it could easily be overlooked, though. 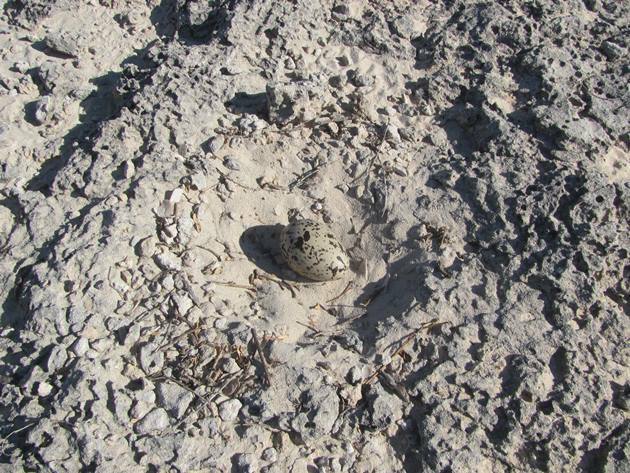 It is unlikely a second egg will be laid at this nest judging by the amount of footprints, because the eggs are laid approximately one day apart. 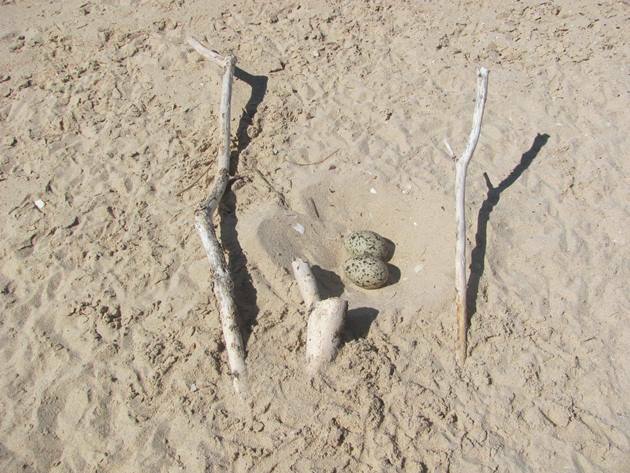 All of the Pied Oystercatcher nests are slightly different and some pairs choose to nest with just a shallow scrape in the sand and others choose to nest beside beach debris. 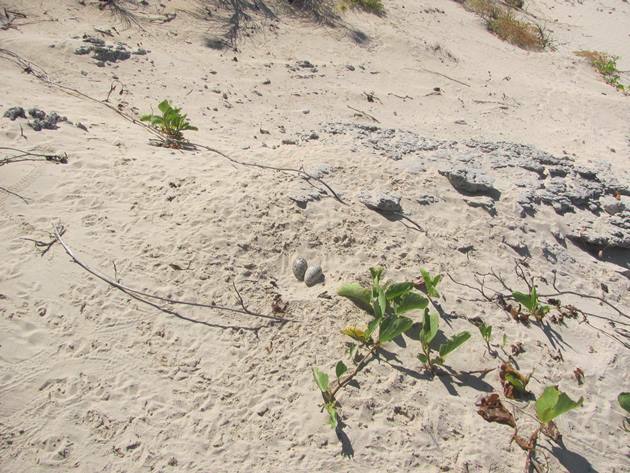 Each year they nest in the same location, so it is easy to find the nests and the footprints lead the way in most cases. One pair of Pied Oystercatchers choose to nest on the grey rocks further back from the sea and they fly over the dunes and walk in from there. They have only laid one egg so far and another may be laid within a day. 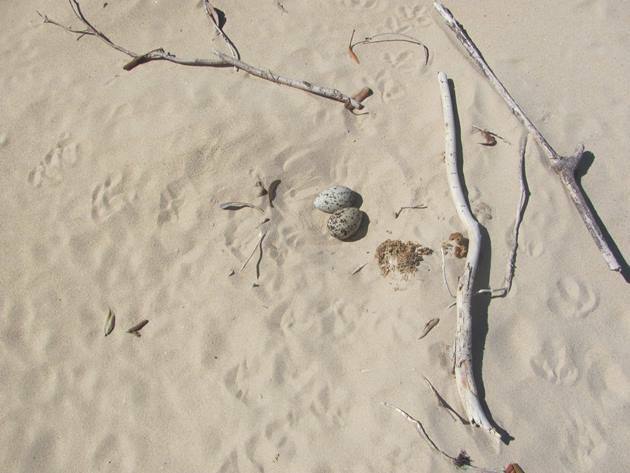 It is normal around Broome for Pied Oystercatchers to only lay one or two eggs with each clutch and very unusual for three eggs to be laid. There has been one successful clutch of three eggs since 2000 that we are aware of and that was in 2014. 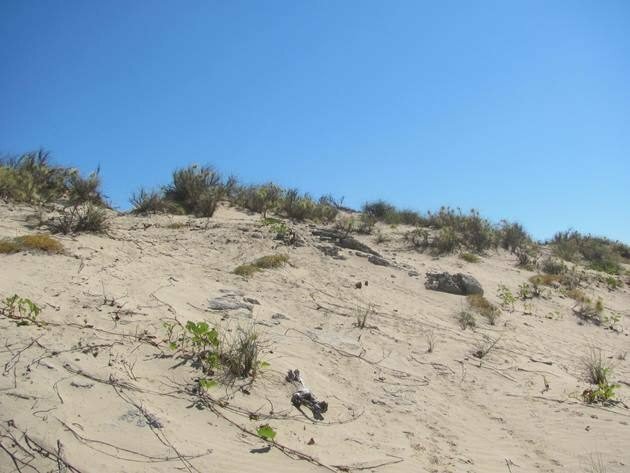 We have also discovered a lot of nests that have been raided recently and the evidence can be followed along the beach and through the dunes. 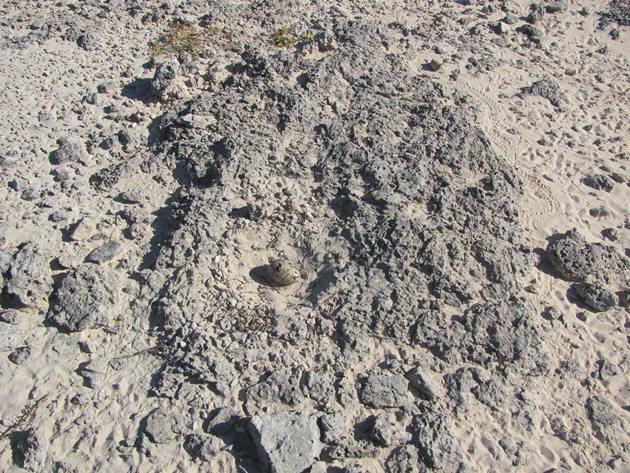 The animal walks from nest to nest and it is clear that the nest had been there some time by the number of footprints. 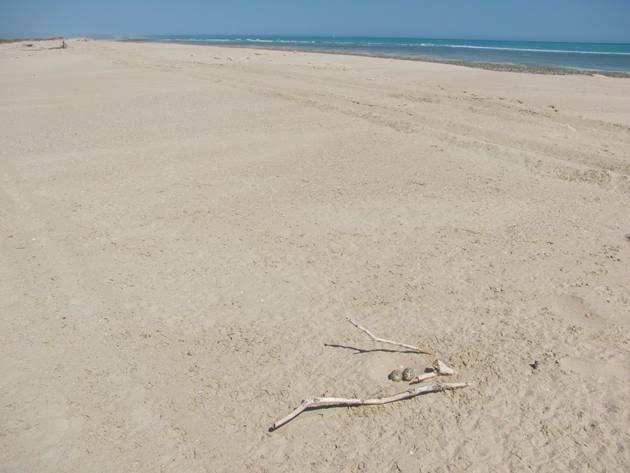 The animal is most likely a feral cat along that stretch of beach, but we also can’t discount a feral fox having encountered a dead one close to Broome recently. It is early on into the 2018 breeding season for the local Pied Oystercatchers and we can only hope that over the coming weeks they have more success than they have had so far and in previous years along this length of coastline. If you do drive on the beach then you should watch out for the Pied Oystercatchers that are nesting above the high tide line and drive on the firm sand after the tide has gone out.